In February, a group of three adventure enthusiasts from Bengaluru discovered and named a canyon in Wayanad, Kerala. 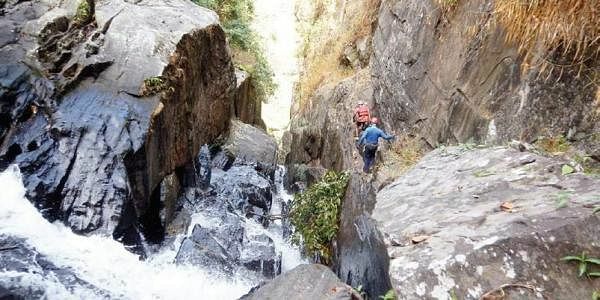 BENGALURU: In February, a group of three adventure enthusiasts from Bengaluru discovered and named a canyon in Wayanad, Kerala. Thanks to the common sport protocol of getting to name the discovery either with first ascent or first descent. 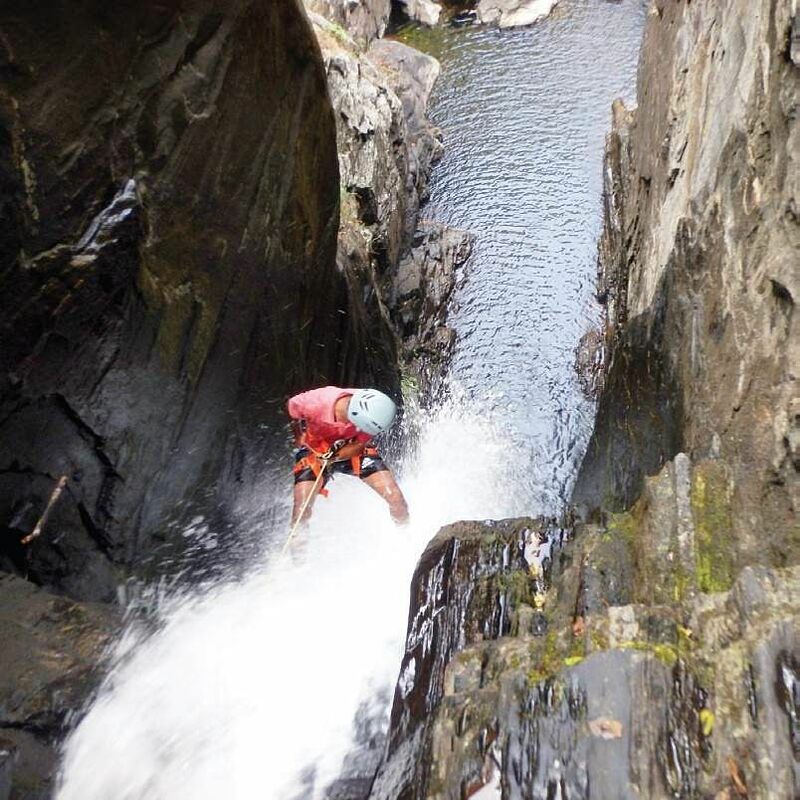 The discovery has been made with a benefit of a fairly new outdoor sport in India-canyoning. Gokul Ramachandran founded the Bangalore Adventure School in December, 2015. He quit his software engineering job in the US to start an adventure community in the country. While working in the US, Kerala-born Gokul trained in canyoning. In 2014, he thought of introducing the sport to India since he felt a lot is yet to be discovered through canyoning, especially in the Western Ghats. The school has consistently conducted weekend adventures. Gokul, accompanied by his student from Chennai, Pravin Kumar and a forest guide Salam, discovered Knotty Canyon. You won’t find the Knotty Canyon in Wayanad on Google Maps. This is because the name and the place is inaccessible to the general public. To further their canyoning adventures, Gokul Ramachandran, Pravin Kumar and forest guide Salam bumped into their newly discovery canyon. They took the required permission to get access to the tribal land and started the journey from Harrison’s tea estate. After about 8 miles, the canyon that boasted three slots of waterfall was sighted. The canyon was devoid of boulder and trees, necessary for tying ropes around it for descent. However, small cracks on the surface of the wall aided the rappelling process since ropes could be stuffed in the cracks to act as an anchor. “Descending is a commitment. Once you decide to descend you cannot climb up,” says Gokul. “Canyoning is a team sport and also a problem solving sport. The three of us used the crack to set up a knot called a Knot Chock anchor to help in our descent,”. Hence the name was kept as Knotty Canyon. The first descent was 80 ft, the second was 100 ft and the final one was 130 ft.
Gokul also shares an interesting encounter with a few tribals who lived under the rock. Chandran, one of the men living under the rock, draped in lungi, showed them a route out, speaking in a Malyalam and Tamil dialect. The school also calims to have discovered two caves just outside of the city near the town of Magadi. “Those caves are not limestone caves, but rather talus cave and don’t serve any archaeological purpose,” says Gokul. The talus caves are formed when rocks fall or boulders pile up on the slopes. Be it canyoning, swimming, climbing or kite flying, ropes and knots are needed in any kind of outdoor sport. Out of thousands of rope techniques it is essential to know the basic fifteen if you are an adventure enthusiast. The fifth edition of knot tying workshop will be held on June 15 by Bangalore Adventure School and Gokul will conduct the event. The course is free of cost. Even though the school conducts all kinds of adventure sport it is ensured that students know the basics of knot tying before getting started with any activity. “Knots are significant and important. It can come handy in any sport,” says Gokul. The example is a Knotty Canyon. Most of the times adventure sports are conducted in lesser known areas and tourists spots are avoided mainly because of the fear that the audience may try the sport without professional supervision.